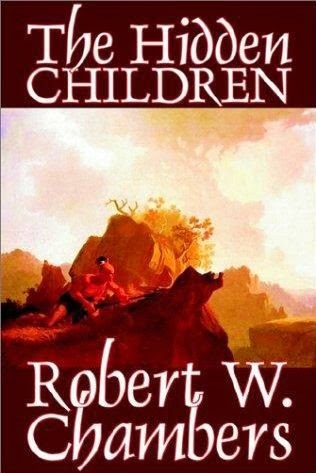 An American soldier in the Revolutionary War named Loskiel learns that he was discovered as an orphaned infant by three Mohican Indians, Mayaro, Uncas, and the Great Serpent, in 1757, during the French and Indian War. Mayaro seems to be Chambers’ creation, but Uncas and the Great Serpent (Chingachgook) are major characters in James Fenimore Cooper’s novel The Last of the Mohicans. Philip José Farmer identified Uncas and Chingachgook’s companion Natty Bumppo as the ancestor of a branch of the Wold Newton Family in Doc Savage: His Apocalyptic Life. This novel is part of a series that also includes Cardigan, The Maid-at-Arms, The Reckoning, The Little Red Foot, and America; or, The Sacrifice. This the same Robert Chambers who wrote The King in Yellow? Chambers is of course now best known as for The King of Yellow, but back in the day he was known for his romance stories. In fact a few were included in King. It's an odd thing to transition from cosmic horror, to rather sappy romance.